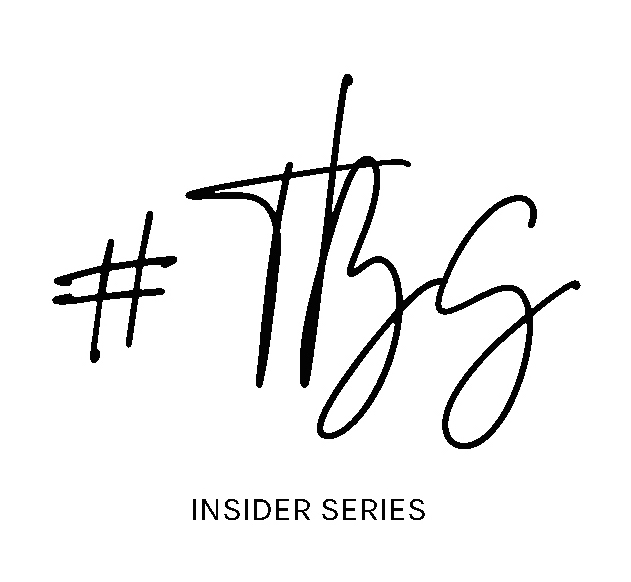 This month on the #TBSINSIDERSERIES we have interviewed the lovely Sarah Jenkins of Heidi Klein. Thanks to her role as Head of Pr for the illustrious swimwear brand she has travelled to some pretty incredible locations so, we thought there was nobody better to tap for some honeymoon planning tips and advice. Sarah, where is the most relaxing location you have travelled to? Puglia, Italy. Specifically the south-eastern side, around Otranto. The beaches are extraordinary, the food outrageous, and the people so wonderfully warm and committed to ‘slow living’- it is impossible not to relax. The vibe is just easy, sunshine, cool. The whole area hasn’t been taken over by tourism quite so much yet (though, sadly, it probably won’t be long) so you can experience authentic Italy and all that entails. Don’t expect people to speak English, do meander down little side-streets that open suddenly onto wide, shockingly azure seas. If you were to recommend a "doing" (as opposed to relaxing) holiday to people, where would you suggest? Full disclaimer here- I like all my ‘doing’ to come with a side-portion of ‘relaxing’ on holidays. It’s all about balance! For me, Morocco has that mix of adventure and peaceful luxury. You can spend hours getting lost in the sheer chaos of the souk, taking in the smells, colours, sounds, (avoiding the snake-charmers) or head up to the Atlas Mountains for a hike and some breathtaking scenery. After all this, you can return to your villa and lounge by the pool in the baking sun or enjoy a full traditional hammam, which is, to me, the greatest indulgence known on earth. 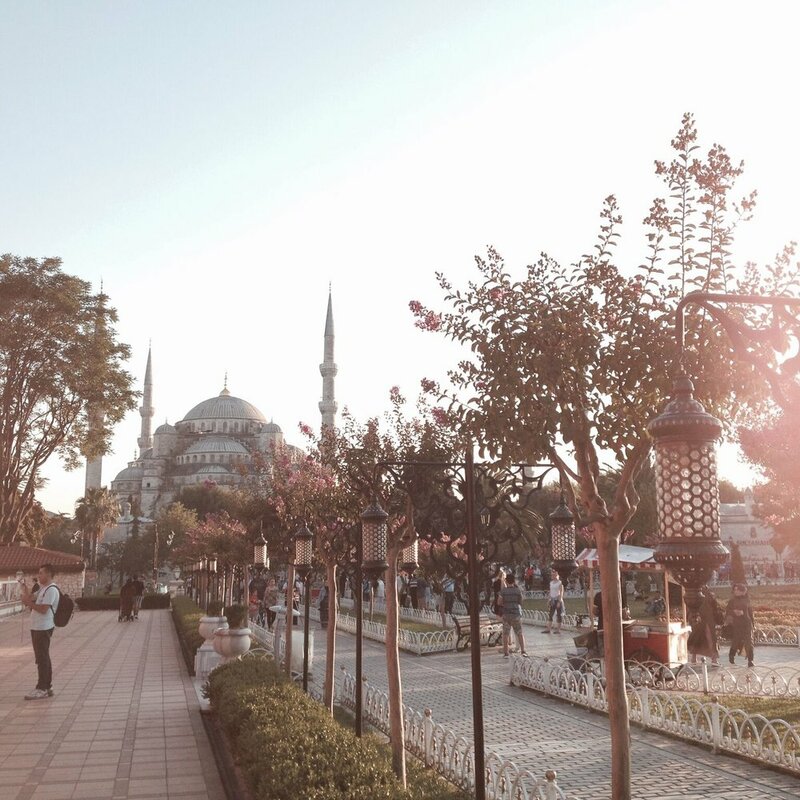 Do you find it easier to arrange a trip to Asia or Europe? Personally, Europe. But that’s because I travel in Europe on a nearly monthly (sometimes more) basis, so I know the ropes. This is no reason not to explore Asia or anywhere though, as these days, even the most remote places are accessible with a little patience, research, and above, respect for local cultures. Being polite and making sure you have checked local custom will help you in every scenario- in my experience, people want to help you. If you walk up and just start speaking in English as if you deserve service, well; you get out what you put in. Where would you say is the best beach in the world? You just can’t go past Capri. Perfect weather, beautiful water, glamour and all the people watching - it’s the dream. Also, I’m not ashamed to say that as a proud Australian, I have grown up with two things at my wonderful beaches: often freezing water and a profound fear of sharks. (I never said I was brave!) The waters off Capri are balmy, relatively tooth-free heaven. Have you got a favourite spa destination? The best spa experience, and I have tried a lot, is at the Grand Hotel Tremezzo, Lake Como. They have recently redesigned the whole spa complex and the quality of space, treatments and staff are outrageously good. 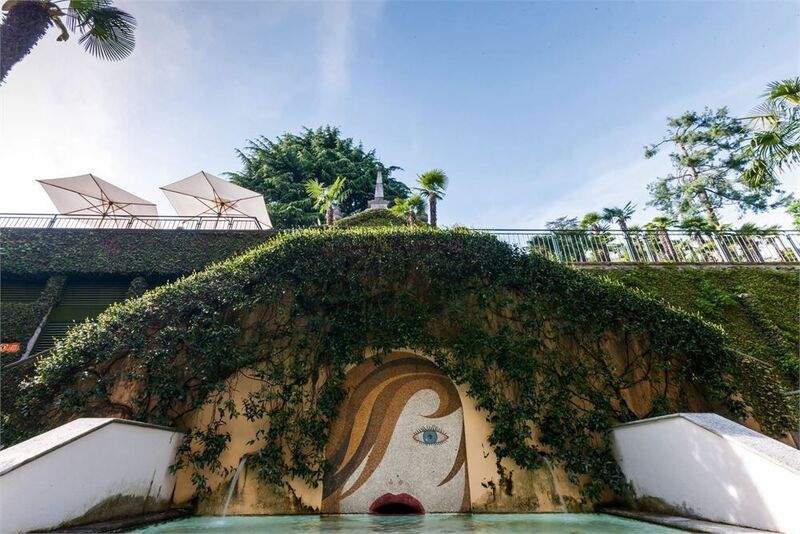 Lake Como isn’t a Spa Destination per se- but that Spa is worth going to, and there could not be a more romantic place to stay! 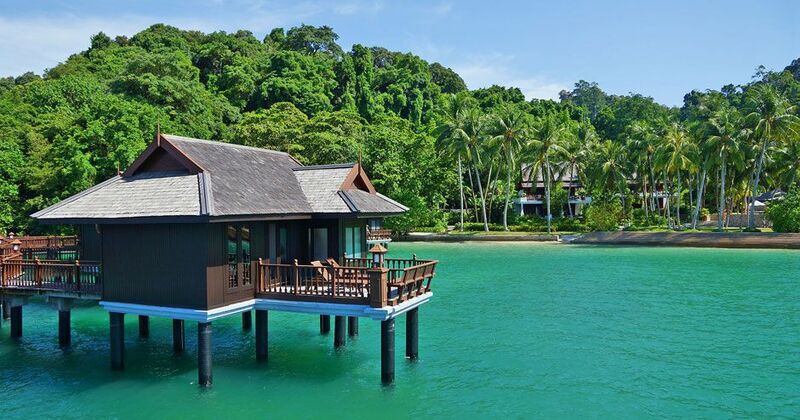 For a real, all-encompassing spa holiday, go straight to Pangkor Laut Resort, a private island in Malaysia. I took five of Australia’s top influencers (Kate Waterhouse, Nadia Fairfax, Yan Yan Chan, Talisa Sutton and Tanja Gacic) to celebrate Heidi Klein launching into Australia. You can see the location on insta by searching #HKEscapes. They have a whole Spa Village, with traditional doctors and the most wonderful menu. It’s huge, with eight treatment pavilions, a deluxe Belian Treatment Pavilion, three ‘Healing Huts’, with Chinese Herbal, Ayurvedic and Malay doctors, two Bath Houses, three Spa Huts, and they even have three gazebos just for napping! All of this on the edge of clear blue water. If you’re in a city and just need a great spa, The Four Seasons never disappoints. Which 3 essentials do you always travel with? Lucas Paw Paw- you can use it for anything, even as highlighter if you’re stuck. Sarah Chapman 3D Moisture Infusion Masks, she is a genius. For before your wedding as well, these are a perfect path to smooth, line free, glowing skin. I use it with her ‘The Facialift’ face massaging tool to really ramp up the results. Thirdly, and pathetically, a phone charger with an international adaptor. I can’t pretend that I’m an offline traveller. What is your go to holiday outfit? It’s top to toe Heidi Klein and it’s a failsafe. A Heidi Klein jumpsuit- they don’t crinkle too much, they are such beautiful fabric you can wear them from Spring freshness to 45 degree heat; the Savannah Bay Duffle Bag, it’s like Mary Poppins’, I have no idea how it just keeps expanding, and nothing falls out when you’re rushing around the airport or lazing on the beach; and Heidi Klein espadrilles, the glamour of a heel with the comfort of a flat. All I do is add some statement earrings from Ranjana Khan and a little jacket to go from beach to bar. Sarah in Venice wearing Heidi Klein. What is the most unexpected destination that you fell in love with? Istanbul. I don’t know what I was expecting, but I was completely wowed. It is a spectacular, spectacular city. Stunning rooftop bars, the glittering Bosphorus, and the most insane mix of architectural influences make it my favourite city in the world. 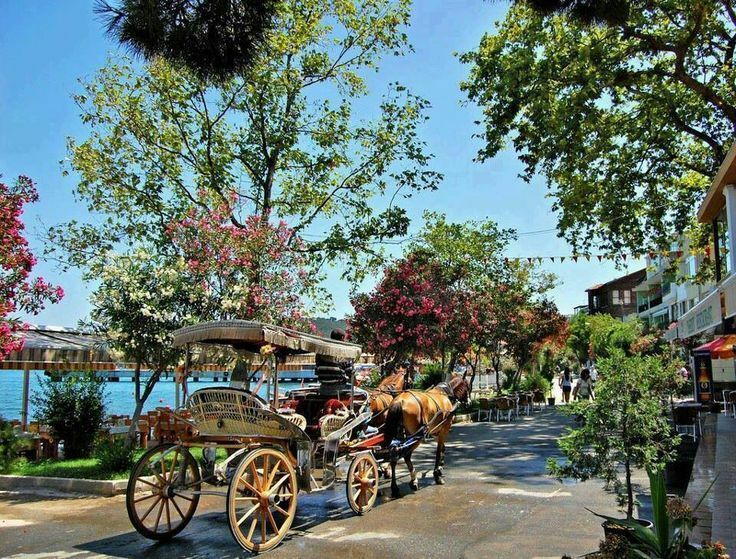 Enjoy a boat trip along ancient trade routes to the Princes Islands to travel back in time - they’re mainly car-free and it’s all horse and brightly painted carts. Don’t over complicate things. Also, really do plan a capsule wardrobe and know what you’re going to wear day-to-day. I just jot it down on a piece of paper, pack using the plan, and throw it in my suitcase. It saves so much time and unnecessary luggage weight! What is a key swimwear trend brides should keep in mind when planning their honeymoon style? Pack a mixture of all-out right-now fashion and classic styles. You will cherish these photographs for a long time, so make sure you won’t be cringing in a few years. Above anything, any trend, is fit. Please, please make sure your swimsuit is supportive and fits you properly. It will completely change not only the look, but more importantly, how you feel in it. A properly made swimsuit will last you years if you care for it properly, so if ever you’re going to invest, your honeymoon is the time to treat yourself. To be perfectly on trend this summer, seek out pieces with luxe hardware, like our Hvar collection. It’s your something blue!